We have a nose for what’s next and a sense for well-being. We’re constantly innovating to turn your ideas and vision into the product of your dreams. 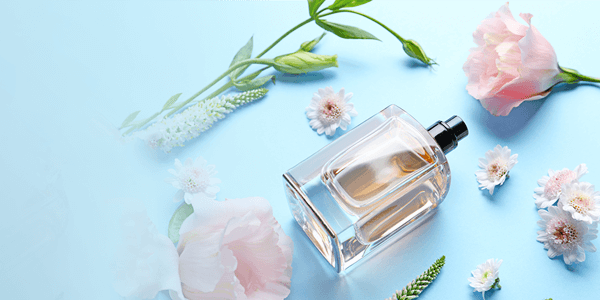 A splash of after shave, a dab of your favourite scent, a spritz of body mist can bring a smile to your face, uplift you, and make you feel ready to take on the world! The art of perfume dates back as far as 3300 BC during the Indus Valley Civilization. Our Indian roots hold us in good stead. Fragrance is in our DNA and we have a range of fragrance molecules in our portfolio. A whiff of perfume can literally define the way you see a person. It awakens a sixth sense, a primal response that triggers awareness. From sandalwood to musk, lime to patchouli, oud to rose. We are a leading supplier of fine fragrance and perfume raw materials. Does the fresh scent of that soap make you feel cleaner? One of fragrance’s oldest uses in the world is to mask body malodours. In the courts of Arabia and France, they used a different fragrance each day. Today, we don’t think twice about reaching for our favourite scented shampoo, soap, deodorant, cologne or talcum powder to feel more hygienic and energetic. We manufacture a range of soap perfume and personal hygiene fragrances. Enter someone’s home and take a deep breath. There’s a sharp scent of pine that emanates from the floor. A tangy lemon fragrance pervades the kitchen. These are the scents being emanated by a diffuser, floor cleaner or dish washing soap. 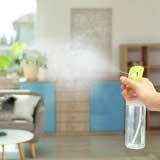 From removing the sweaty smell from your clothes, to camouflaging the chemical smell of an insect repellent, the masking property of fragrance in home care is endless. Whether it’s a scented candle, a shoe polish, upholstery cleaner, fabric softener, laundry detergent, or air freshener, there’s no limit to how fragrance can enhance your surroundings. We are a leading manufacturer of candle fragrances, functional fragrances and detergent perfumes. Masking sanitation malodours is another vertical where fragrance can create a dramatic positive impact with far reaching effects. Micro-encapsulation is one of the key techniques we deploy to exude the perfect fragrance. Do you immediately experience a deep sense of comfort and luxury when you apply that body lotion that smells like rose? A fragrance can have tremendous benefits on one’s sense of well-being. Isn’t this what “feeling beautiful” is all about? The boosting property of fragrances is most apparent in the domain of beauty and cosmetics. 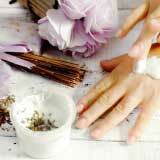 Enhancing that cosmetic fragrance to the perfect degree can create a remarkable impact on the mood of its user.